Discussion in 'Non-Indian Domains' started by Jeff, Jan 21, 2017. 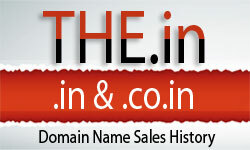 Uniregistry will be offering their lowest transfer in rate for .COM domains for a limited time only. and enter the coupon code NAMESCON17 when prompted during the transfer checkout process. Terms: *Offer valid until January 31, 2017 on transfers into Uniregistry.com only. You must have or create a new account at Uniregistry.com. Not redeemable for any other service, no cash value. With Epik you can get .com transfers for $8.10. Applies to new regs and renewals too. You must request a "Domainer Discount" through support. This is such an awesome discount thank you so much for sharing Jeff.